Naperville Park District’s Knoch Knolls Nature Center invites families and individuals to participate in the Great Backyard Bird Count and winter birds activities on Presidents’ Day on Monday, Feb. 18 from 10:00 a.m.-3:00 p.m. Visit the Nature Center, located at 320 Knoch Knolls Road, Naperville, to learn more about winter birds and to identify and record the birds you see. Naturalists will be on hand with binoculars and bird identification books to help guide kids and parents in their observation. No registration is necessary but at least one adult must attend with each family or group of children. The data will be shared with researchers at the Cornell Lab of Ornithology and the National Audubon Society to learn more about how birds are doing and how to protect them. The official website for the event is located at gbbc.birdcount.org. In addition to the observations that will be made at Knoch Knolls Nature Center, any resident can join the count in their back yard and enter their results on gbbc.birdcount.org or download the eBird mobile app. The Feb. 9 Family Nature Nights activity is a Valentine’s Day nature craft workshop, including making heart-shaped bird feeders, nature-based valentines and more. The workshop is from 6:00-7:30 p.m. for ages 3 and up. Register at www.napervilleparks.org. On Feb. 16, families can drop in between 10:30 a.m. and 2:30 p.m. to learn more about winter birds in Illinois through self-guided activity stations at the Nature Center. No registration is needed. Scouts can earn an Indian Lore Merit Badge on Feb. 23 and a Weather Merit Badge on March 9. 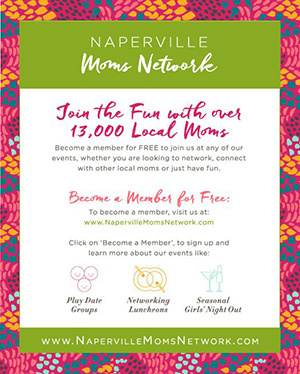 Register at www.napervilleparks.org. On March 2 from 10:00-11:30 a.m. adults 18 and up are invited to take a free hike to learn about local wildlife. The hike is free but registration is required at www.napervilleparks.org. On March 10 and 24, the Nature Center will host free Nature Discovery Days from 1:00-4:00 p.m. with the theme “animal babies.” These are free, drop-in programs with no registration required. On March 16 from 6:00-7:30 p.m., Family Nature Nights will focus on coyotes, with both indoor activities and a hike. 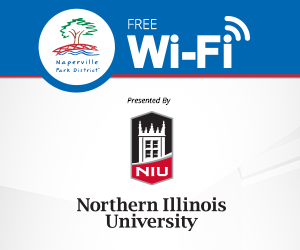 Register at www.napervilleparks.org. Groups interested in a free tour of the Nature Center may contact Nature Center Manager Angelique Harshman at 630-864-3962 to arrange a time. Knoch Knolls Nature Center will begin its regular (spring through fall) hours on March 1, which are: Monday-Saturday, 9:00 a.m.-5:00 p.m. and Sunday, 12:00-5:00 p.m. Winter hours are: Monday-Friday, 9:00 a.m.-4:00 p.m. and Saturday, 10:00 a.m.-3:00 p.m.